Today we are taking a look at where you will get the most out of being in the Technology Industry; the top two cities may surprise you. In many states, technology professionals are earning more than state average salaries according to business.org. Why do you ask? It may have something to do with every single business possessing a technological need to survive in today’s world: from POS machines in restaurants to email servers in a fortune 500 company. 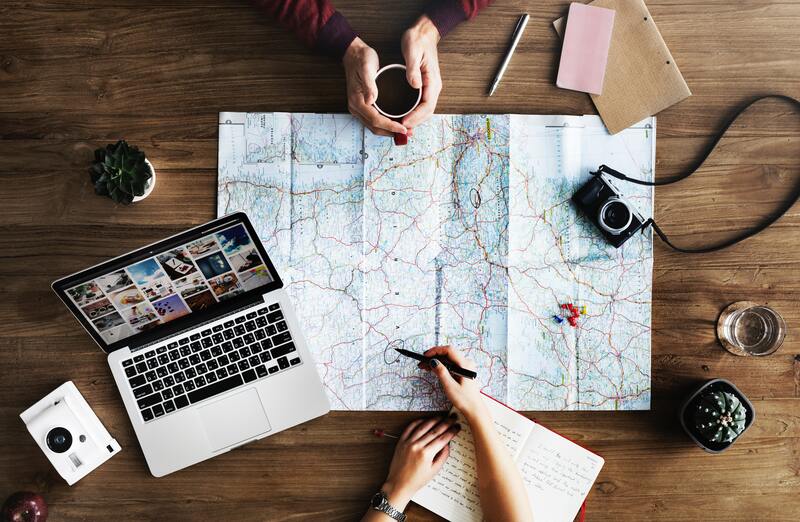 More companies are ditching the typical brick and mortar for the endless world of cloud computing, web-based conference calls and remote workstations. As technology progresses bringing almost every company into the 21st century, we need people to support these efforts. This is where our technology professionals come in. The technology profession is one of the fastest growing job markets whether it is writing code, developing new software or supporting existing infrastructure. These individuals are vital to the success of your day to day business. Syracuse, New York is near the top of the list when it comes to technology pro earnings, at $117,000. This 54% delta puts Syracuse on the map for something other than Syracuse University’s basketball team. 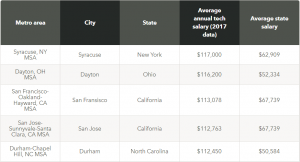 Close behind Syracuse is Dayton, OH with tech pros earning $116,200 over the state average of $52,332. The top two cities with technology professionals earning more than the state average salary are near and dear to our heart at Solu. With offices in both areas, we work with top firms to place technology professionals in the right opportunity, for the right salary of course. In this study by business.org, they factored in the following jobs: actuaries, research scientists, network architects, network support specialists, programmers, systems analysts, customer support specialists, database administrators, information security analysts, mathematicians, network and computer systems administrators, operations research analysts, software developers, statisticians, and web developers. Solu has over 20 years of experience in placement among these career paths. Check out all the opportunities we have or get in touch with a recruiter today to see where you can take your career.